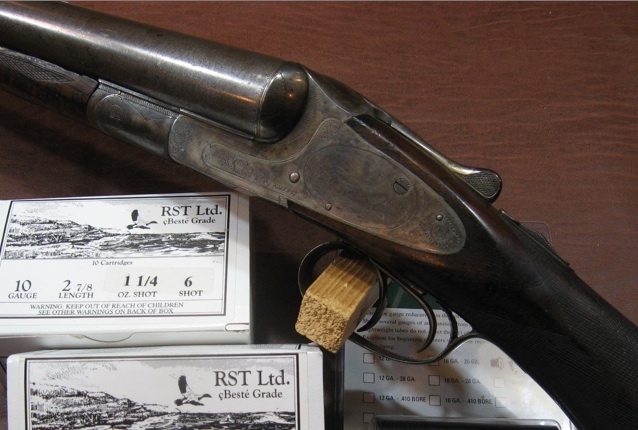 Upland hunters: If you’re looking for one shotgun that can handle it all, this 16 gauge FAIR O/U is it. And at $1,199, it’s a steal. FAIR stands for Fabbrica Armi Isidoro Rizzini, and Italian company that has been around since 1971. Since 1999, various importers have been bought them into the US and today it looks Cabela’s is at least one of the companies selling them. 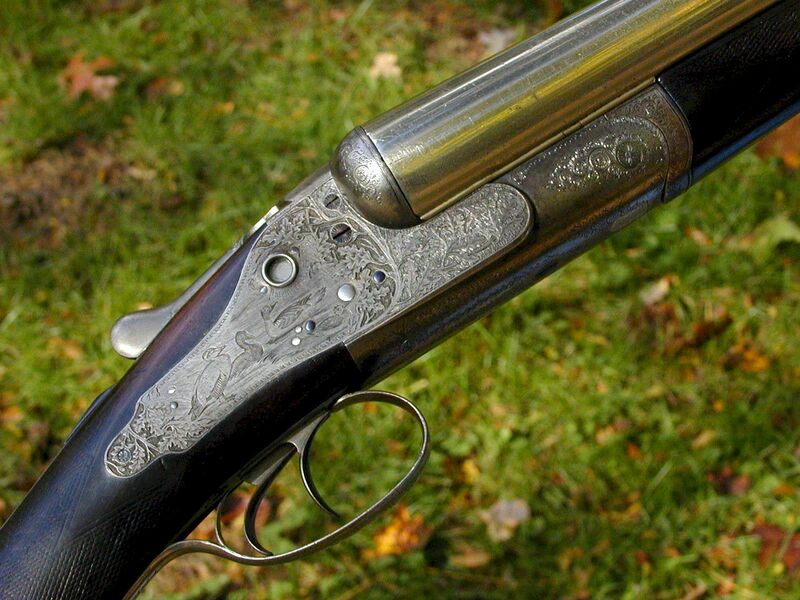 A lot of the modern 16 gauge O/Us that you see are built on 12 gauge frames. This can make these shotguns heavy and clunky. So it’s nice to see that FAIR’s 16 gauge O/Us are built on true sixteen gauge frame. 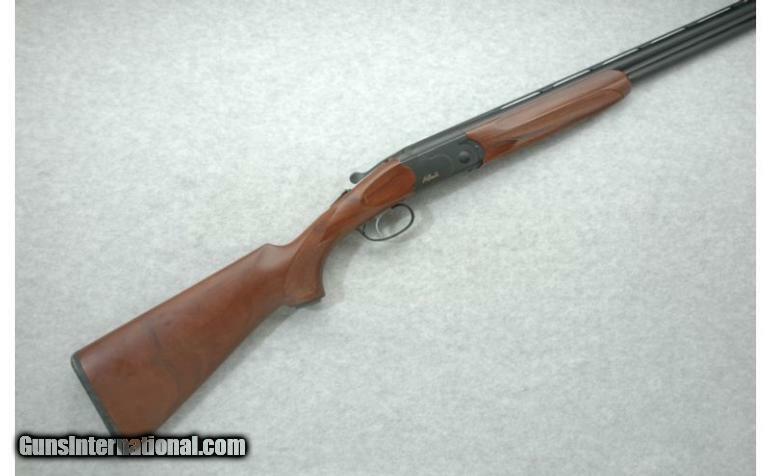 “Investment” is a word that comes up a lot in the gun circles, as in “..right now, shotguns like this are excellent investments.” Statements like this make me think “maybe”. 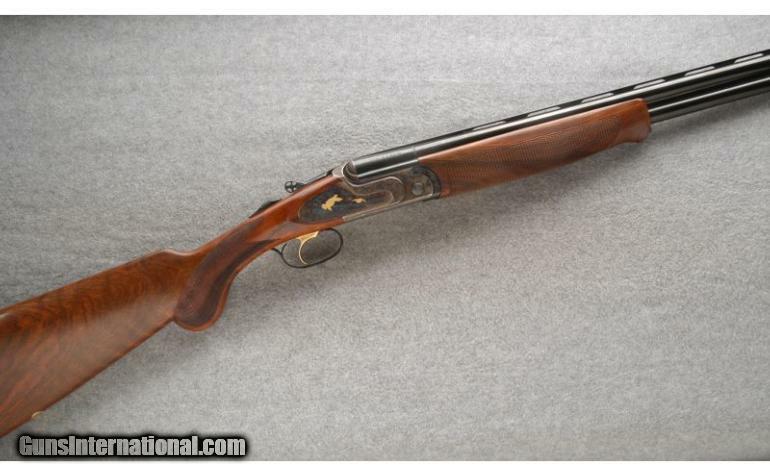 To see what I mean, let’s consider this 20 gauge A.H. Fox XE side by side. It sold a couple weekends ago at Rock Island Auctions for $20,700. 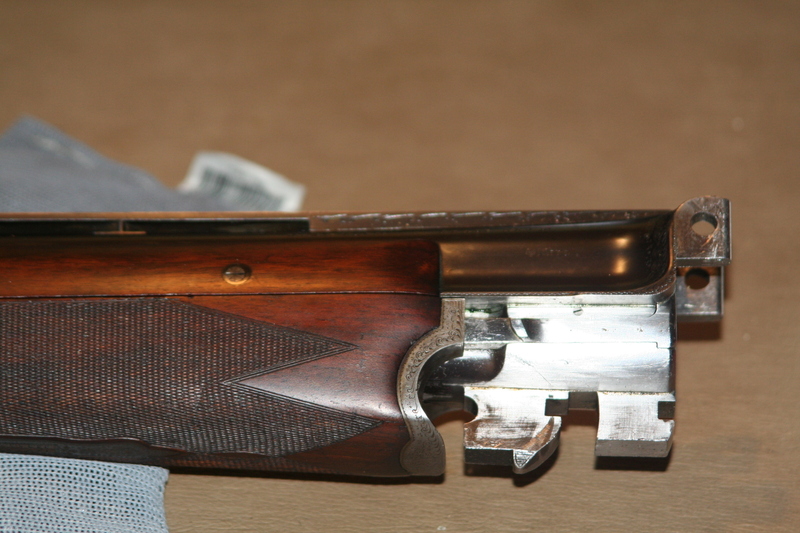 This same gun changed hands back in 2008 at Julia’s spring firearms auction for $14,950. 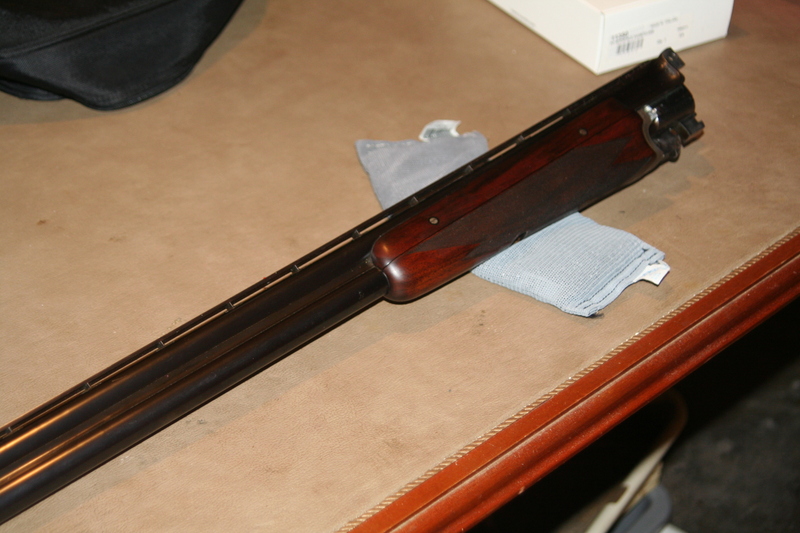 (BTW: here are some better pics of it: 20g Fox XE double barrel shotgun, spring 2008). 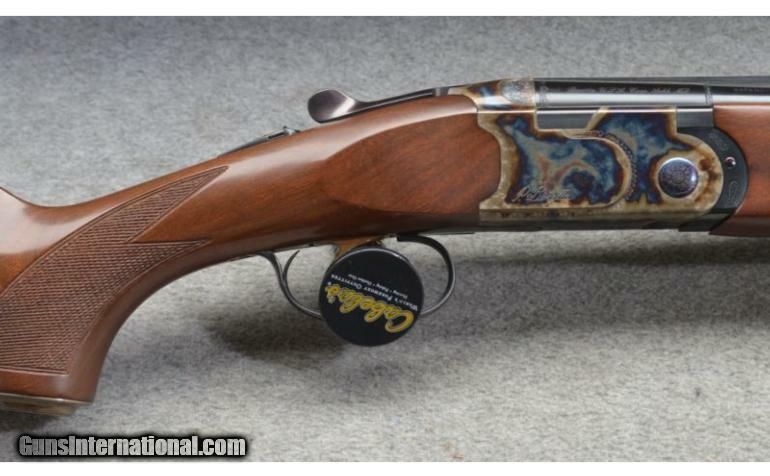 So here were have a A.H. Fox 20 gauge XE selling twice in 4 years. Was the gun a good “investment”. Lets run some numbers and see. First, we need to adjust the sale price. Both auctioneers are include a 15% buyer’s premium in the prices they show. We need to take this out to get the real sales prices: $18,000 in 2008 and $13,000 in 2012. This cuts the 4-year gain down to $5000. Still not bad. Next, lets consider the seller’s premium. This fee is negotiable and if you bring the right stuff to an auctioneer, it can fall to zero. To keep things simple, we’ll just assume that the seller rung all the right bells and paid 0%. Finally, there are the miscellaneous fees and taxes. Shipping the gun back and forth both times probably cost the seller several hundred dollars. We’ll use $250. Tax wise, since the seller had the gun for over a year, the gains will be dinged 28% – if the seller pays paid them. Most gun auctions don’t process 1099s on sales, so paying capital gains on stuff is totally up to the consignor. Of course, Uncle Sam says it’s something they must do. This final bit of figuring knocks the gains down to $4750 without taxes and $3420 with them. So what kind of return is this over 4 years? If my math is right (and it may not be), the seller’s looking at 8.0% and 6%. That’s not bad. In this case, I would say that this gun was a decent place to stash some money for a few years. BTW: please let me know if my calculations are wrong. I’m a writer, not an accountant or financial analyst. Charles Daly was a businessman, not a gunmaker. Born in 1839, he partnered with August Shoverling around 1875 to import shotguns into the United States. 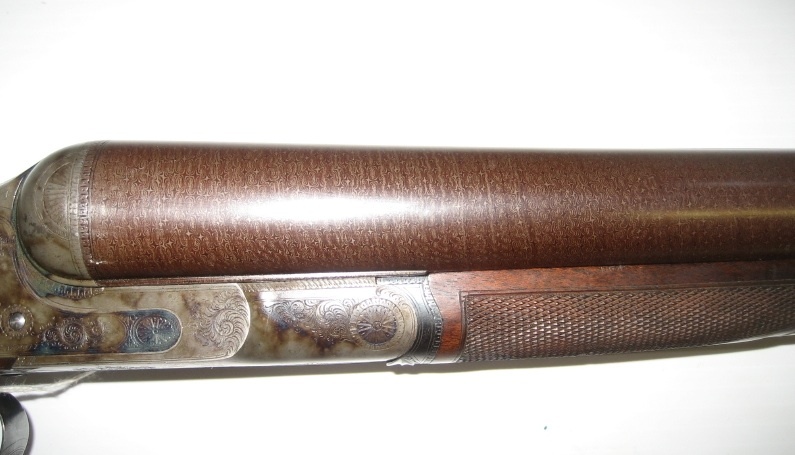 These side-by-sides were marketed under Charles Daly’s name, and up to about WW2, they were some of the finest double-barrel shotguns for sale in the US. 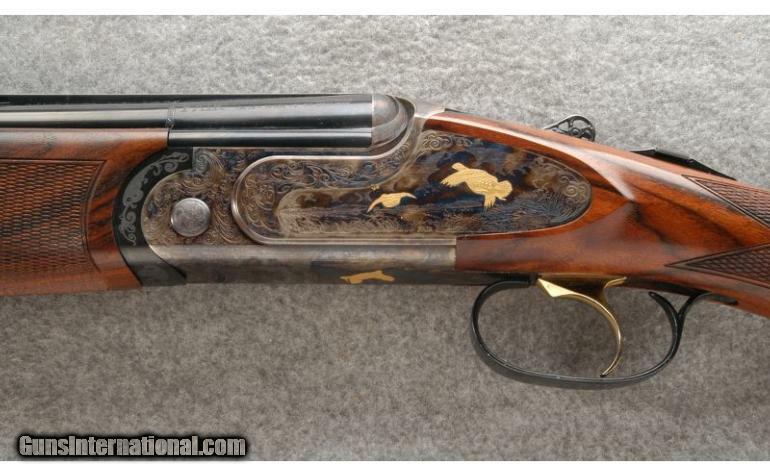 This little 24 gauge at Julia’s March 2012 auctions shows just how nice a Charles Daly can be. 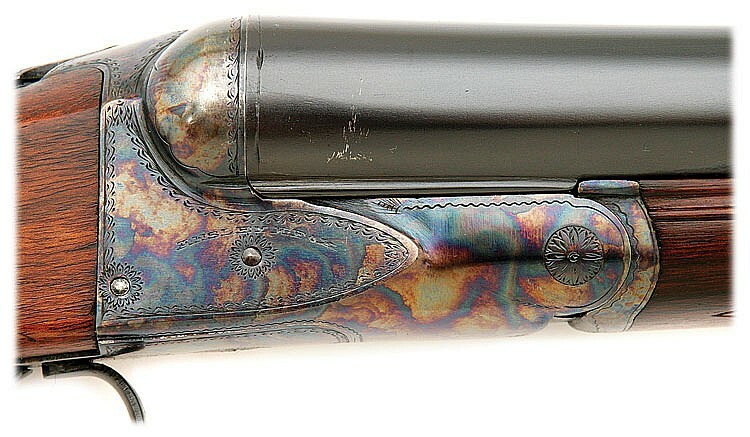 This is a Diamond Regent, and while this was the highest grade gun Charles Daly offered, some Diamond Regents were fancier than others, like this 16 gauge from the NRA’s Robert Peterson collection. As for the gauge – 24 – I’ve seen a handful of shotguns made for it. All these guns have been european, and I think most of them were Italian. I’ve heard that 24 gauges are popular in South America for doves and in Europe for smaller upland game. If you buy this Daly, this Fiocchi 24 gauge ammo is out there and available. 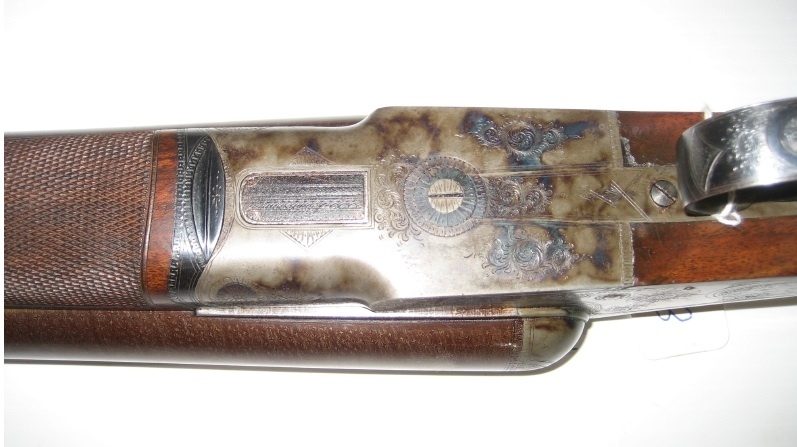 Prussian-made Charles Daly side-by-side shotguns were very expensive back in their day. Schoverling, Daly & Gales listed the Diamond Regent for $500 in their 1907 catalog. Parker was asking the same price for their just introduced A-1 Special. Today, Parker A-1 Specials brings much more on the collector’s market. But I don’t think they’re better shotgun. Dalys have always been fantastic doubles, and many people think they’re among the finest boxlocks ever made. I agree with them. 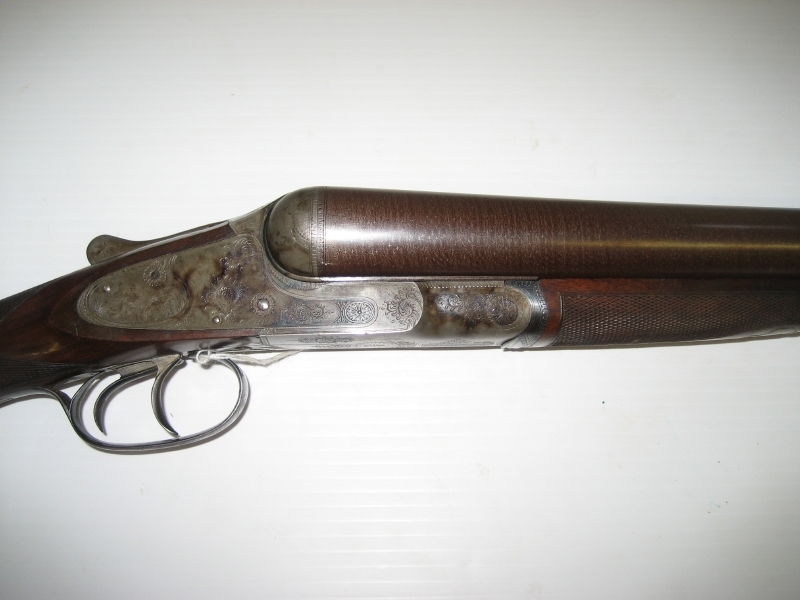 Lot #1190A: RARE AND DAINTY CHAS DALY REGENT DIAMOND 24 GA SHOTGUN. SN 1736. Cal. 24 Ga. Wonderful, Prussian, Linder made Daly with factory 24” bbls, 2-3/4″ chambers with tapered, concave, matted ribs and sgl metal bead.“CHARLES DALY REGENT DIAMOND QUALITY” is inlaid in gold with scroll engraving extending about 6-1/2” up the rib. It has a rib extension with dbl bites, selective ejectors & checkered dbl triggers. 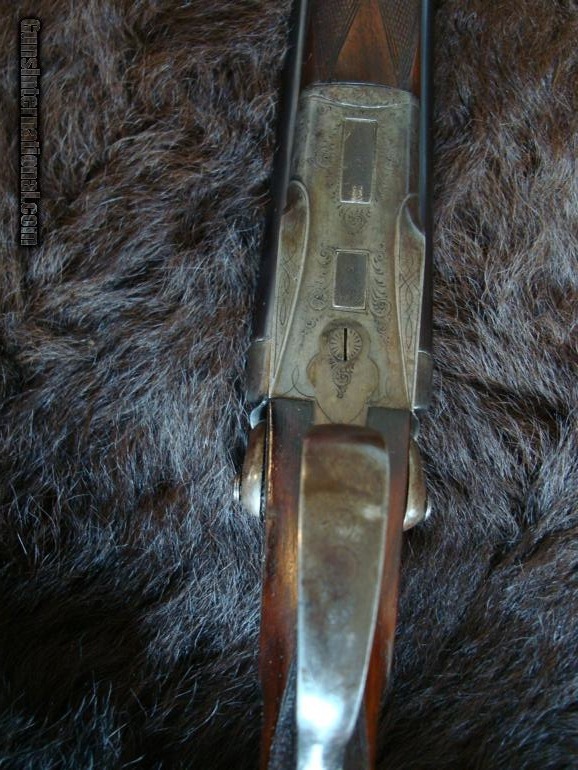 Dovetail bbls are made of Excelsior steel by Witten and bear the maker’s brand along with the crossed pistols and “HAL” markings indicative of Linder made guns. 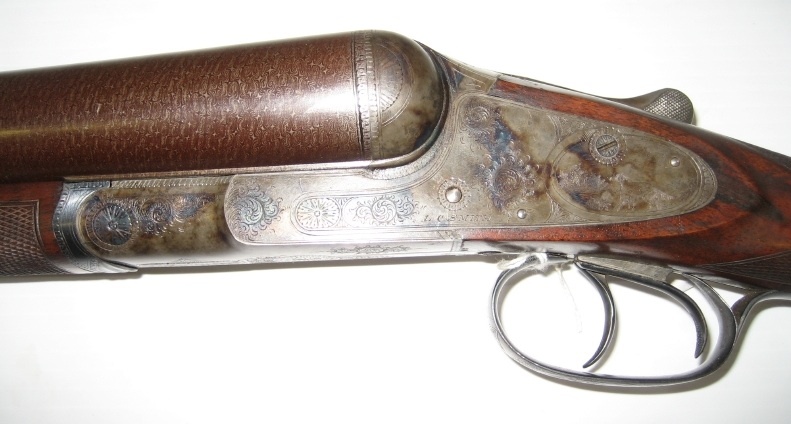 Scalloped receiver is stamped “PRUSSIA” on the water table is wonderfully engraved with full coverage flowing deep-relief scrollwork having a small oval vignette of four partridge on left side, two pheasant on right side, the indicative large gold crown is on bottom with two intricate snipe in an oval on trigger bow. Fences are deep relief engraved in flowing acanthus patterns with sculpted rib across radius with side clips. Receiver also has cocking indicators & maker’s name along the base of the bbl bosses with “SAFE” in gold on top tang. Mounted with superb,honey & chocolate Circassian walnut with ebony tipped Prince of Wales grip with checkered side panels and drop points. Bottom of stock has a small gold oval engraved “H.M.A.”. 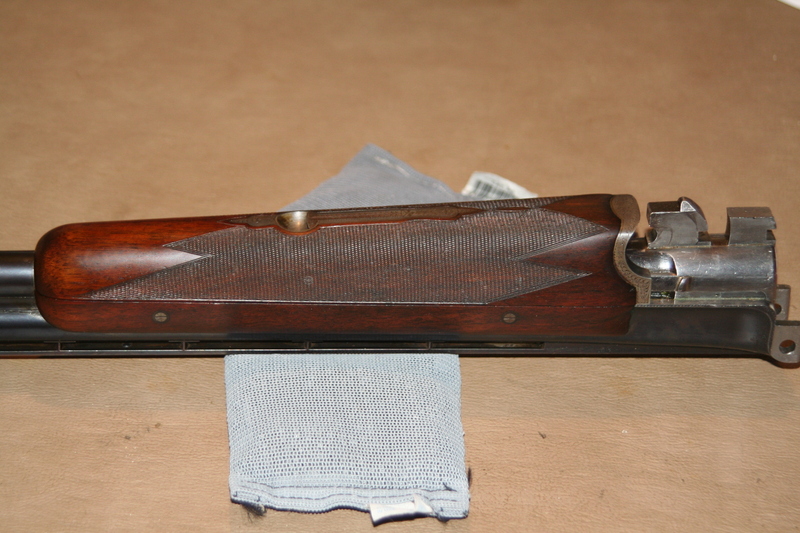 Matching splinter forend has ebony tip with appended metal engraved to match gun. Bore diameter: left -.587, right -.589. Bore restrictions: left -.020, right -.003 Wall thickness: left -.025, right -.023. Drop at heel: 2-7/8″, drop at comb: 1-3/4″. Weight: 4lbs. 12oz, LOP 13 3/4” over a 1/2″ well-matched stock extension and solid red pad. PROVENANCE: Ex- William Keith Neal Collection (Consignor’s grandfather and noted British antique arms collector). 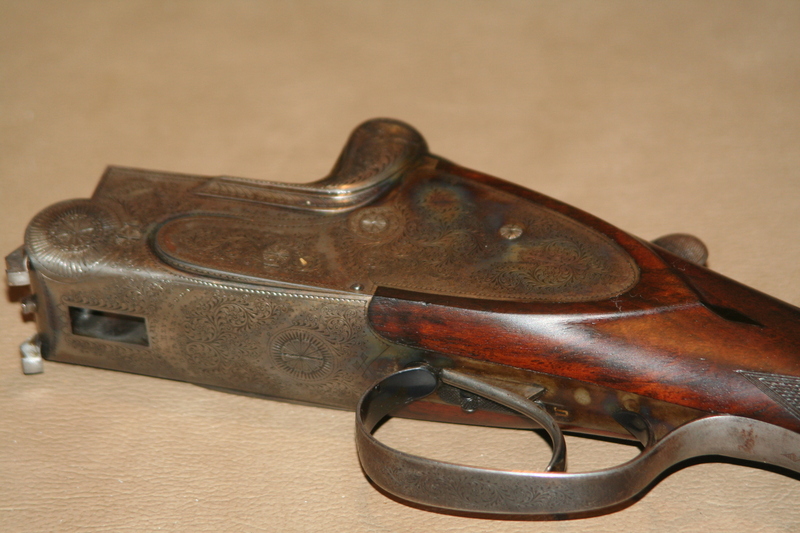 As the 19th century ended, the shooting world was winding up 100 years of change. 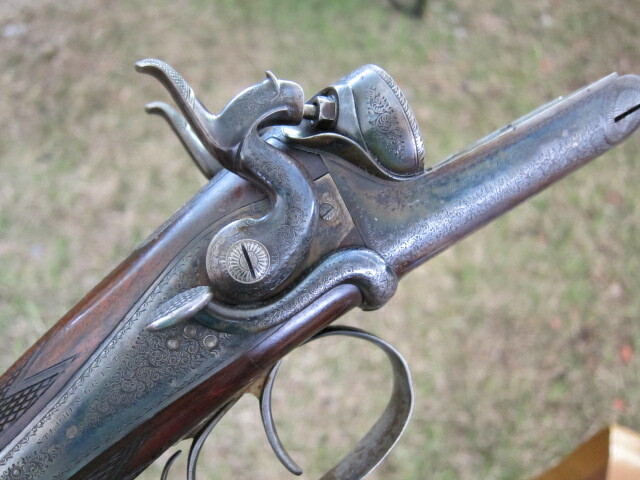 In 1800, muzzle loading flintlocks had ruled the field. 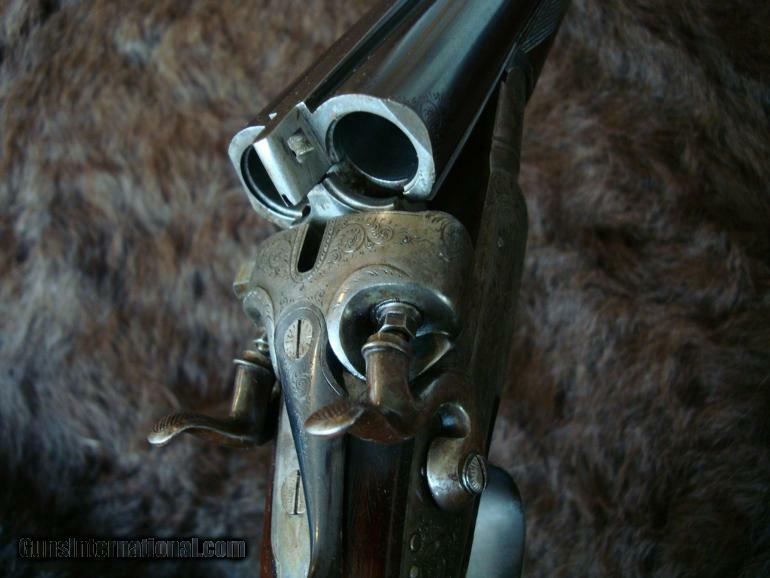 Then in 1839, percussion guns took over, followed by breech loaders and then centerfire hammerguns. By 1885, these hammerguns were out and self-cocking, hammerless doubles were in. While the new hammerless guns had their benefits, hammerguns had two advantages that were tough to beat. 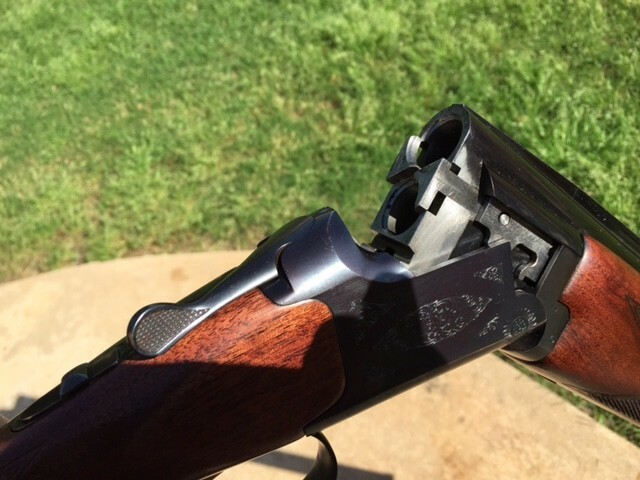 First, exposed hammers make it easy to see if a gun is cocked and ready to fire. 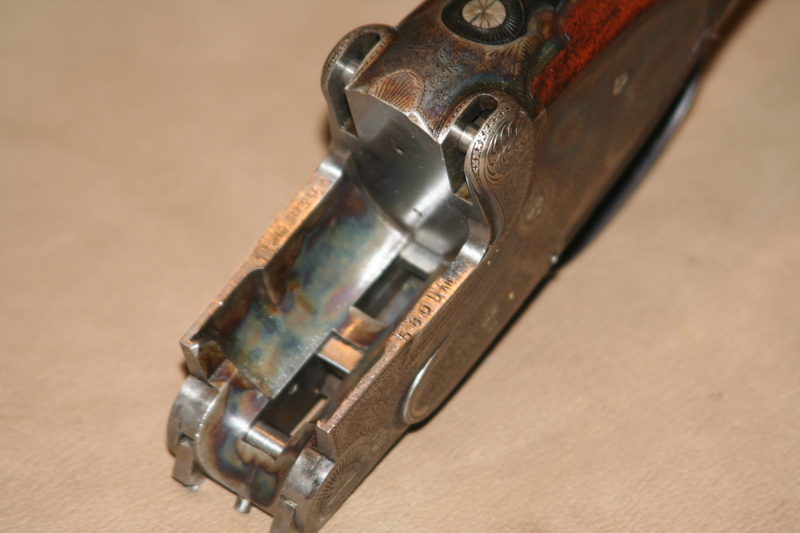 Second, cocked hammers can be dropped, decocking the gun and returning it to a “safe” state. So some people raised on hammerguns must have looked at the new, “hammerless” models with suspicion. 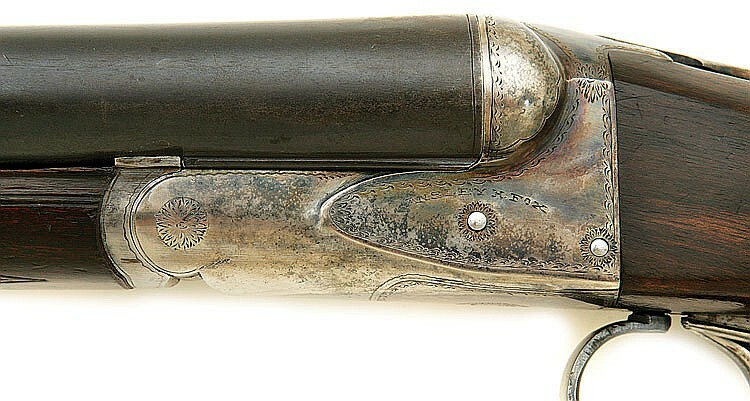 To overcome their apprehensions, some makers added cocked indicators to their hammerless guns. A few makers even came up with ways to uncock there guns. But, W. & C. Scott may be the only maker to ever come up with a way to do it all, and you can see their solution in this gun. This is the gun and it’s an 8 gauge that Scott called THE COMBINATION. Lewis Drake had this gun a while ago. Like a lot of his stuff, this gun looks like it was in very original condition. 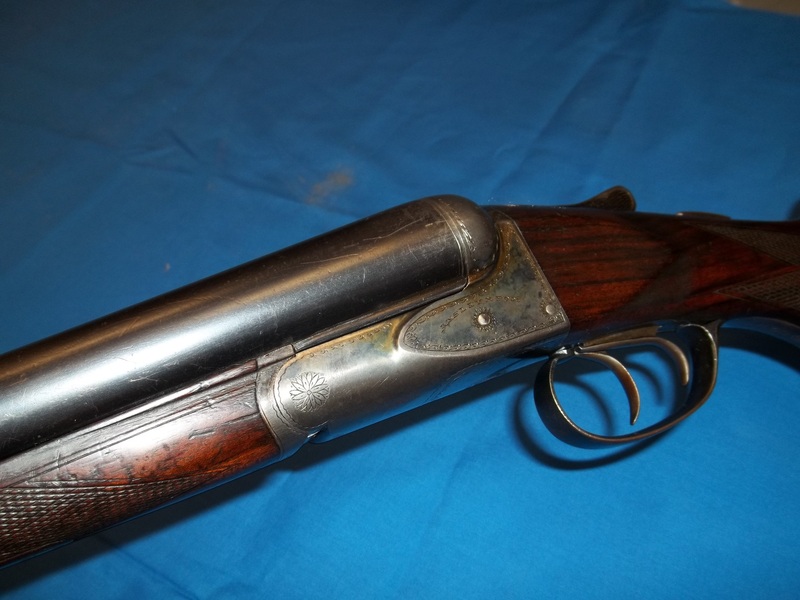 Amoskeag’s 11/19 auction has a bunch of good double barrel shotguns coming up in it. Here a couple that would be ideal in the uplands. 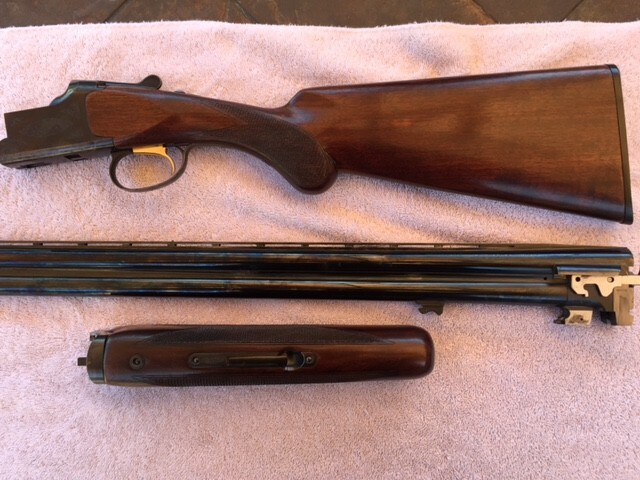 20g Browning Superlight – of all the classic “America” shotguns, the Belgian Brownings are the most shootable. With modern dimensions and chambers, they’re very handy guns. Most of them are heavy, though. The Superlights are the exception. In 20g, they make great upland guns. 20g Parker DHE – This is a nice, later Parker (1937) with a straight grip, 14 1/2″ LOP and 2 1/2″ of drop. That’s a combination you see in very few vintage American doubles, and it makes this Parker very desirable. The only drawback is that I’m sure a lot of people will be after it. Live Bird Gun — if you collect double-barrel shotguns, those three words can cost you plenty. There seems to be something special about doubles made for pigeon shooting–something that collectors like and sellers love. That’s why true pigeon guns command premium prices. It’s also why dealers are quick to label any side-by-side or over/under with certain features a Live Bird Gun. 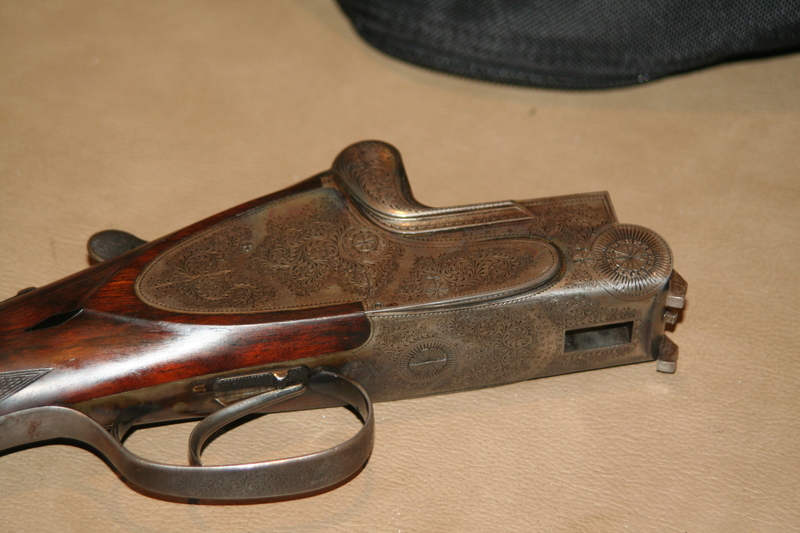 To see what I mean, check out this 20 gauge Parker DHE. It’s a nice 20g–with no safety. A missing safety is supposed to be a rubber stamp that certifies a double as a “Live Bird Gun.” But while plenty of pigeon guns lack safeties, not all of them do, and a missing safety does not mean a double was made for pigeons. So in this Parker’s case, are we looking at a true pigeon gun? I doubt it. My first objection is to the gauge – 20. Live pigeon shooting is a competitive sport. It’s expensive to participate in. To succeed, you must down your bird in a set area (the ring). To do this effectively, you would want to put as much lead as possible on your target (shooters are limited to 1 1/4 oz. loads). While there are handicapped advantages for 14 & 16 gauges, there are none for 20s. So there’s no benefit to shooting live pigeons with a 20g. In a game where money rides on every pull of the trigger, zero advantage equals zero reason. 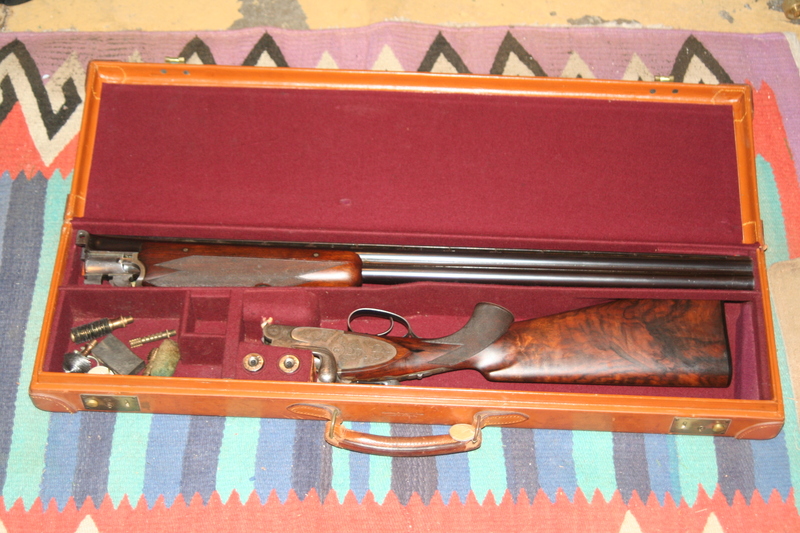 Also, this Parker is a light gun (it’s on an O frame) with a longish stock (14 3/8″ LOP) and 28″ barrels. Whoever ordered it was not a small person (DH-grade Parkers were custom guns). Instead, this shooter were probably a bit bigger than average and they wanted a light-weight gun. But if you were shooting pigeons with a 20g, you would push the heaviest load possible through the gun–probably an ounce. To make the double comfortable to shoot, the gun would have to be much heavier than this one. Finally, there’s the single trigger. 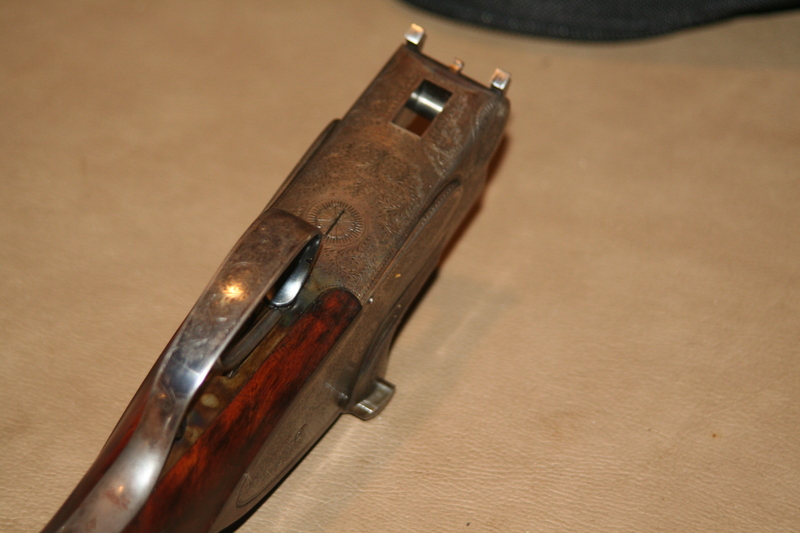 Back when single triggers were less than 100% reliable, pigeon shooters tended to avoid them. Misfires and malfunctions count as balks–or missed birds–in the pigeon ring. And when a missed bird can cost you $1000+, you do everything possible to avoid them. That’s why pigeon shooters used to insist upon double triggers. So why is this gun missing a safety? Not everyone liked them, that’s why. Charles Askins and Nash Buckingham had shotgun made without them (Bo Whoop didn’t have a safety), as did many other shooters. I’ve seen enough safety-less 20 gauge guns to think that it was common for people to order them without it. 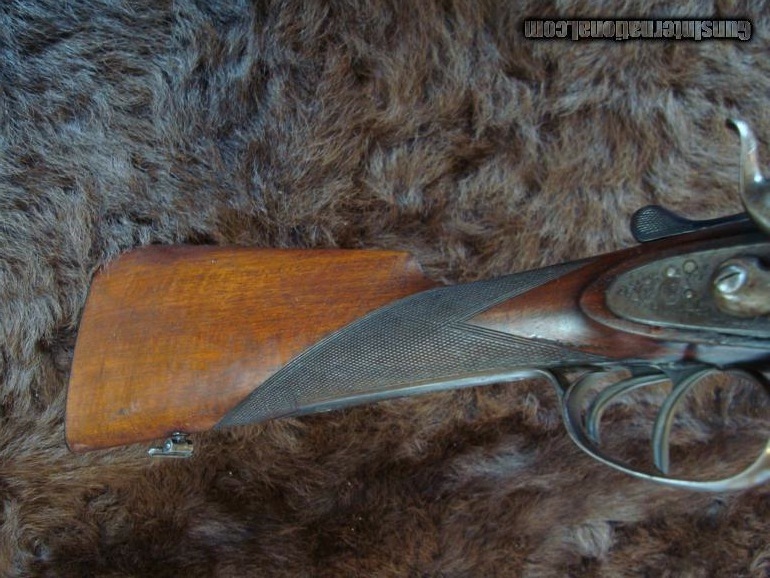 My guess it that this Parker was made as a gentleman’s quail gun. 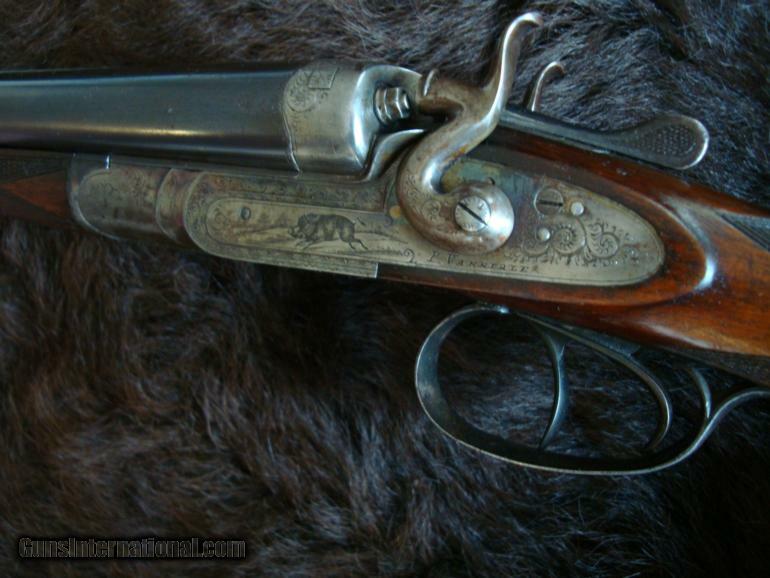 The owner probably shot on plantations over pointers and the gun spend most of its time in a case or scabbard. It would have been removed when the dogs were on point and loaded after it’s owner was ready to shoot and waiting for the flush. Whatever the case, I doubt it saw any time in a pigeon ring. Fox made about 300 HE-grade side by sides, and this one’s cherry enough to make my whole ‘friggin month.